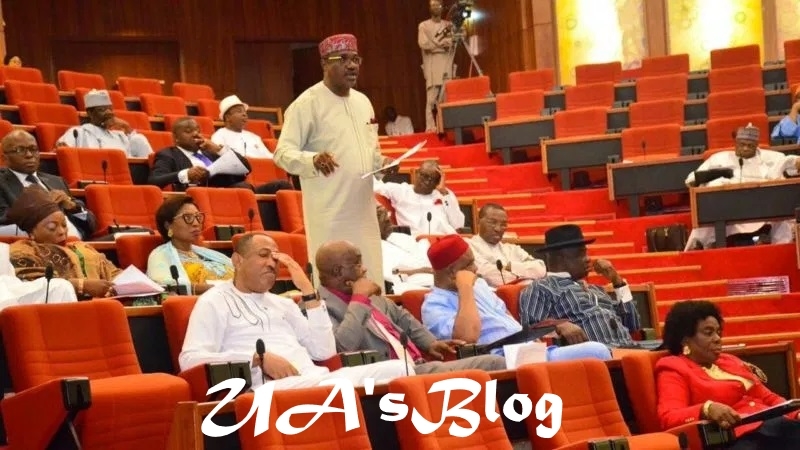 Plenary at the Senate on Thursday became rowdy over alleged incompetence of President Muhammadu Buhari to address the spate of killings by armed herdsmen. Lawmaker representing Abia South Senatorial District, Senator Enyinnaya Abaribe, had raised a point of order to make reference to the conflicting reasons given by officials in the Buhari-led administration for the herdsmen/farmers clashes. Abaribe noted that the latest was from Buhari who said during his current official visit to the United Kingdom ‎that the killer herdsmen were from Libya. He said the admittance by the President that Nigeria had been invaded by external forces confirmed his previous claims that Buhari ‎was “totally incompetent”. The Majority Leader, Senator Ahmad Lawan, interrupted Abaribe to raise a point of order, asking the lawmaker to withdraw his derogatory comments on Buhari and apologise for his statements. The bickering polarised the chamber along political lines.